However, ideologically the differences between the Likud and the Blue and White alliance of generals are not particularly substantial. Therefore, as soon as the election results were released, voices in the so-called “business sector,” began calling for the creation of a national unity government. Or, in other words, Netanyahu’s options are one of two: he can either put together a narrow right-wing coalition that will even further intensify the undermining of democracy and ostensibly buffer him from the threat of prosecution, or instead go with a broad unity government that could grant him some time to maneuver. A phenomenon of particular importance and prominence in this election campaign was the of “siphoning” votes away from small parties to the largest one in the same bloc (right or left) in order to prevent a victory by the largest party in the opposing camp. This is how both the Likud and Blue and White ultimately succeeded in apportioning for themselves the votes of so many thousands who would have otherwise cast their ballots for smaller, more ideological parties. The Likud did this at the expense of the United Right, the New Right, and the Zehut ([Jewish] Identity) lists, while Blue and White managed to accomplish the same thing, but to the detriment of Labor and Meretz on the left. Another significant phenomenon in the election results is that the four parties that made up the Joint List in the 20th Knesset, and which garnered 13 Knesset seats in the 2015 election, suffered a loss of more than 20% of their parliamentary power. This was predictable considering the anticipated drop in the turnout of Palestinian-Arab citizens of Israel who told pollsters that they would not be voting. Consequently, Hadash-Ta’al garnered about 5% of the ballots cast winning and 6 Knesset seats while Ra’am-Balad (with the final official results still pending) and barely got over the 3.25% electoral threshold with 3.3% of the vote cast giving it, if there is no change, 4 seats in the next Knesset. These two alliances, along Meretz’s 4 MKs, are the only consistent democratic pole in Israel, and it is them and only them who will be able to fight the extreme right-wing hegemony in the Knesset. Therefore, if the final count of the ballots, including all the votes by soldiers and Israelis working abroad, should bring about the dropping of Ra’am-Balad’s votes beneath the electoral threshold, this will undoubtedly constitute a severe blow to the democratic public in Israel. Meretz faces a daunting decision as it must decide whether it wants to continue to be part of the Zionist consensus in Israel, or instead align itself with the democratic forces in the Knesset. If the latter, then Meretz’s chairwomen Tamar Zandberg is going to have to break with her spiritual and adopted father, Menachem Begin, if she sincerely wants to join the consistent, leftist Arab-Jewish democratic bloc now represented by Hadash-Ta’al and Ra’am-Balad. Is it possible that the Labor Party, or rather its splinters, will also join the forces of the democratic camp that are resolutely fighting racism and fascism? It’s still too early to determine this with certainty, but it’s clear that Labor’s catastrophic crash in the election (six seats compared with 24 four years ago) should make it rethink what its path is to be. Whatever its decision and that of Meretz, it is clearly incumbent upon the democratic forces in Israel to intensify the campaign against fascism, racism and the occupation. This responsibility rests primarily with Hadash and the Communist Party of Israel (CPI) as Hadash-Ta’al won 6 Knesset seats, equal to those of a much reduced Labor and two more than Meretz, while, as indicated, the latter two still must decide what they want to be and where they want to belong. This will not be the first time that Hadash and CPI have had to lead parliamentary and popular struggles from a minority position. The histories of the CPI since the founding of Israel, and its electoral front, Hadash, since 1977 are intertwined with struggles against the military government, against the occupation, against the expropriation of land, against racism, against exploitation and against war. 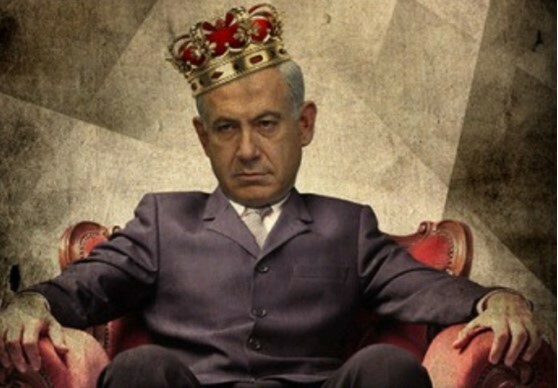 Netanyahu’s past year of rule has been characterized by many struggles in the streets, which forced him and his government to change policies; for example, to raise the minimum wage; against violence against women and their widespread exploitation; and against the expulsion of migrants and refugees. The campaign against the racist “Nation-State Law” began and got into its full swing during the past Knesset but, under even more difficult conditions, it must continue this struggle with all its might in the upcoming one.